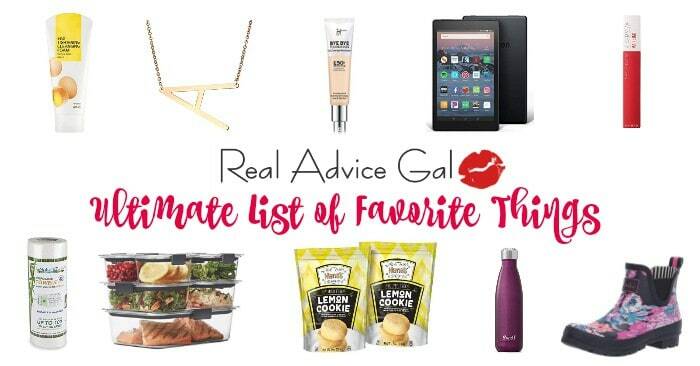 This is a sponsored post written by me on behalf of Stop & Shop. All opinions are 100% mine. Summer is one of my favorite times of the year. I love being able to spend time with my family, heading on summer vacations, and spending more time outdoors. We have a patio that was begging for use all winter long, and finally we are able to bring our dinner outside and enjoy it on our patio together as a family! Summer also means that we have friends and family over often and I need to be able to make meals that not only taste great, but are also affordable. Luckily my local Stop & Shop has got me covered there! They have everything you need for easy, affordable and quality meals to kick off your summer fun. The Stop & Shop Savory Recipe Center also has an awesome recipe ideas that are easy to follow and cost efficient! There were tons to choose from from burgers, sides, and deserts. 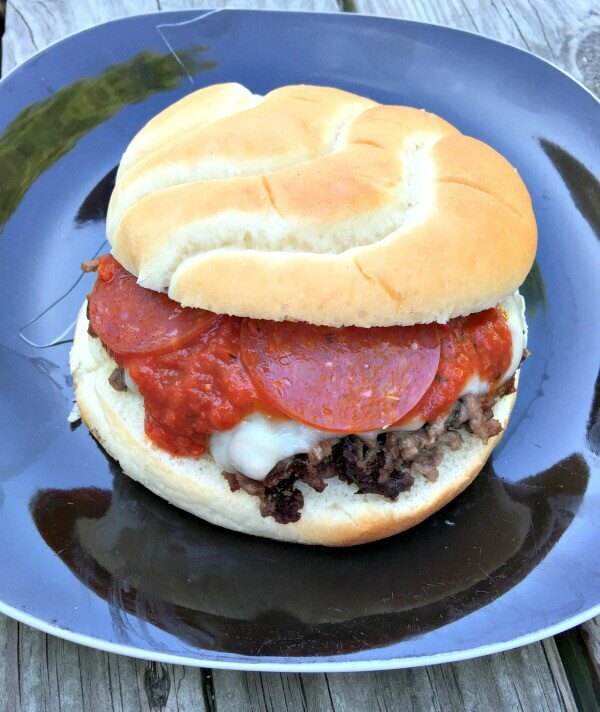 I took a peek and knew that my family would love the NY Pizza Burger and I knew I had to recreate that recipe for my family and share it with you guys! Everything you love about a pizza on top of a burger. What else could you ask for right!? It’s also a great base recipe that can be customized by adding all kinds of different toppings! 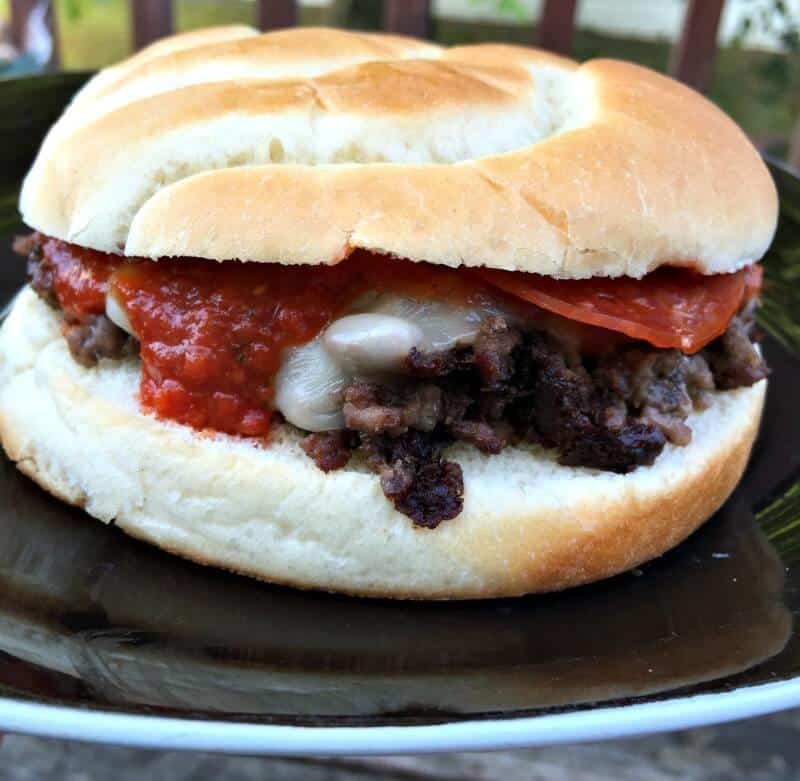 And with 4th of July coming up, this would be an awesome burger to make for your cookout! Step 1: Add your beef, onion soup mix, oregano, and grated Parmesan cheese in a large mixing bowl and mix gently combine. Step 2: Shape your mixture into 4 burger patties. Step 3: Grill your burgers over med/high heat for about 7 minutes on each side, or until it reaches your desired cooking temperature. Step 4: While your burgers are cooking, heat up your pasta sauce in a sauce pan until warm. 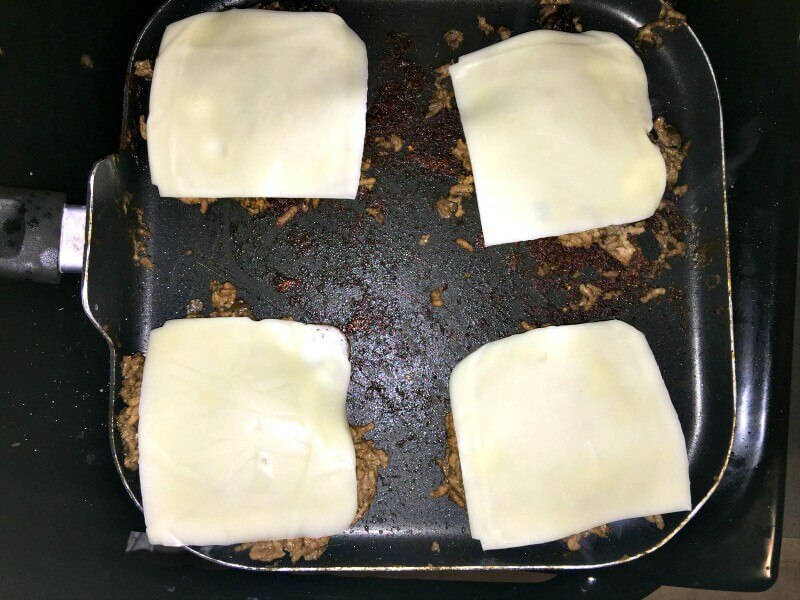 Step 5: When your burgers are cooked through grab your sliced mozzarella cheese and place it on top of your patties and let melt for about 1 minute. Step 6: Place your burgers on buns and add some of your pasta sauce on top. 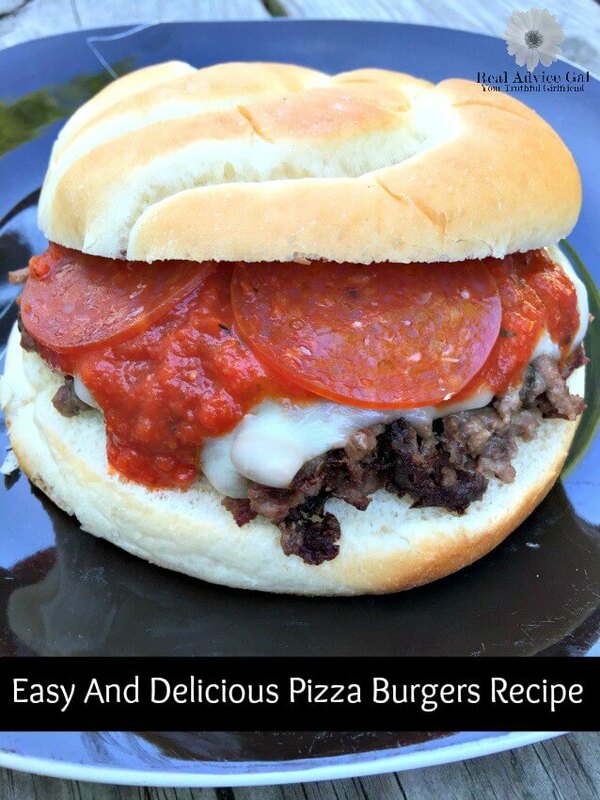 You can also have a little more fun and add some fun toppings to your pizza burger! We opted to go for some pepperoni at my daughters insistence. You guys, how Delicious does this look!? And everyone in the family absolutely loved this recipe. Even my picky kid who normally only eats plain burgers. And it was fast and affordable. Score! I hope you enjoyed this recipe and don’t forget to check out your local Stop & Shop for great deals and variety for your summer meals.